Automobile manufacturing continues to be a primary force in the Michigan economy, and Detroit is the nation’s only older city that is home to a state-of-the-art auto assembly plant. There is also a budding industry growing up around firms researching hydrogen fuel cells and other non-petroleum power generating technologies that may drive the automobiles of the future. 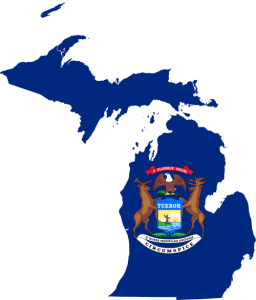 Below are the current, construction, manufacturing and general labor jobs; which often require OSHA training; in the state on Michigan. Michigan takes its worker safety seriously. MIOSHA, the Michigan version of OSHA, has been around for about 40 years and offers all sorts of information, resources, links to regulatory statements, etc. as a service to both employees and employers. Michigan is one of the states that administers a plan that’s been approved by OSHA at the Federal level. The State doesn’t require OSHA training, but as in any state with a large manufacturing capacity, many employers require one of the many flavors of OSHA training. 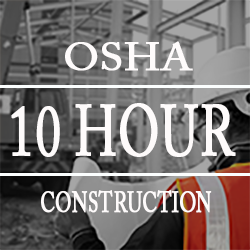 The 10 Hour Construction Training will prepare you to start immediately on public work projects in the state of Michigan or any construction job in all 50 states. Upon completion of our online courses, you will be able to print a temporary certificate of completion. You will receive the Department of Labor OSHA Wallet Card in approximately two weeks. Looking for OSHA Offices in Michigan? Check out our Michigan OSHA resources page.